Lawyers for the man charged with the September 2017 murder of his pregnant girlfriend, Laura Wallen, have asked for a delay in his trial. ROCKVILLE, Md. — Tyler Tessier, the boyfriend charged with shooting his pregnant girlfriend, Laura Wallen, in the back of the head has been granted a five-month delay in his murder trial. Tessier’s public defender, Allen Wolf, made the request in front of two Montgomery County Circuit Court judges Friday, in an out-of-the-ordinary battle of courtroom strategies, between Tessier’s attorney and prosecutors for Montgomery County. Tessier made his first appearance in court Friday since being indicted for Wallen’s murder. He was initially scheduled to go on trial April 9, before Friday’s courtroom maneuvering. Prosecutors have said they intend to seek life with no chance of parole for Tessier. 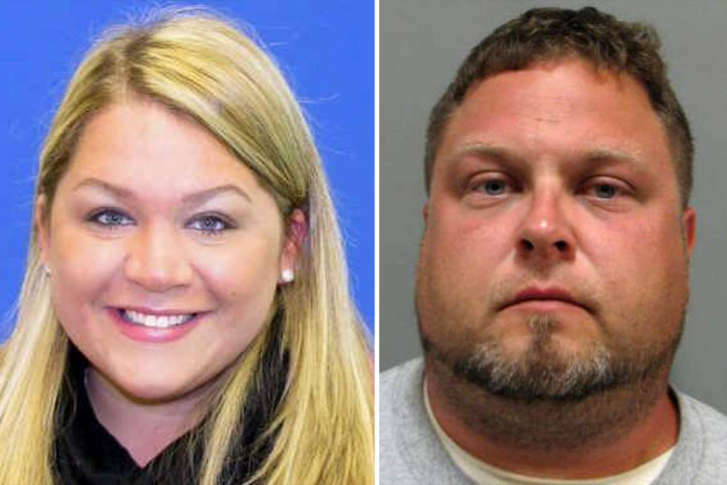 An autopsy determined Wallen, a Howard County teacher, had been shot in the back of the head. Wallen, who taught at Wilde Lake High School in Columbia, was 14 weeks pregnant when she was murdered. Her body was found buried in a shallow grave, in Damascus, Maryland. Early Friday morning, assistant state’s attorneys Donna Fenton and Mary Herdman opposed Wolf’s request for a delay, saying Tessier’s attorney was “purposefully delaying” the trial. Fenton and Herdman told Judge Michael Mason they wanted to play a secretly-recorded jail phone call between Tessier and his father, where Tessier said a trial delay would be in his best interests. Wolf waived his client’s presence before Judge Mason. “The State wants to do a little bit of a show and they want him here,” Wolf said. The judge agreed, so Tessier was not in the room to hear the phone call, which Judge Mason played. During it, Tessier mentioned the Las Vegas shooting tragedy. “People forget; things happen. When something more important happens, it puts me out of the public eye,” Tessier said in the phone conversation. Mason agreed to delay the trial date to June 18, however since that would be beyond Maryland’s 180-day requirement for a speedy trial, he compelled Tessier to appear before Chief Administrative Judge Robert Greenberg to personally approve of the trial delay. Wearing only an electronic security cuff on his left wrist, Tessier looked straight ahead, showing no emotion as prosecutors played the recorded jail call for Greenberg. Tessier occasionally fiddled with his thumbs. After a bench conference, Greenberg said prosecutors had realized they had a scheduling problem with the June date Mason had set, and rescheduled the trial, again, to Sept. 4, a year and one day after the date prosecutors believe Wallen was murdered. In October 2017, Montgomery County State’s Attorney John McCarthy announced Tessier would not face additional charges for the death of Wallen’s fetus. McCarthy said that under Maryland law, he would have had to prove that Wallen was carrying a “viable fetus,” that could have survived on its own. Wallen’s mother, Gwen, and more than a dozen family members and friends were in the courtroom as the defense sought the trial delay. Tessier’s public defenders have not disclosed their defense strategy.